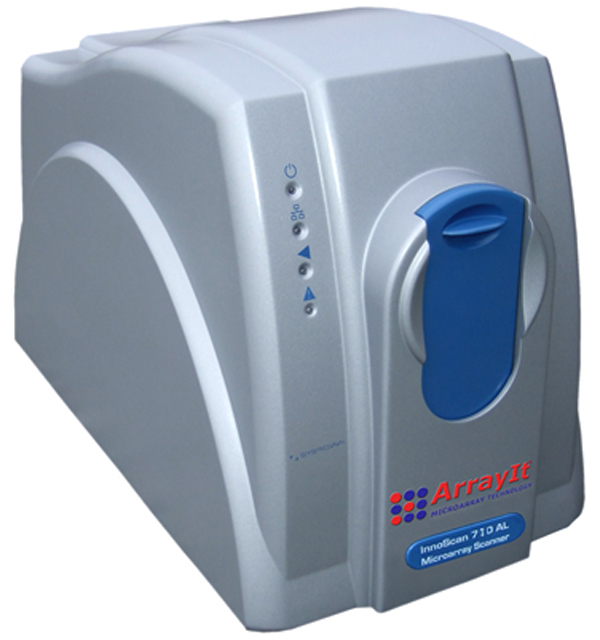 The One Year Warranty Extension covers parts and service for ArrayIt® InnoScan® 710AL microarray scanners, which are the fastest high-resolution 2 color confocal fluorescent microarray scanners available. 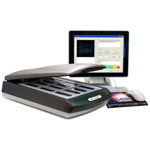 Dual detection channels allow two-color scanning of 24 substrate slides in a fully automated manner in 100 minutes using the new InnoScan® 710AL with autoloader. 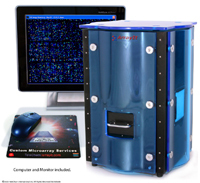 Scanning resolution is adjustable from 3 µm to 40 µm, making it perfect for high-, medium- and low-density microarrays. Dynamic auto focusing guarantees uniform scanning across the entire chip surface. Mapix® Software allows real-time adjustment of scanning intensity, easy channel balancing, data quantitation and data export. This network compatible Windows and Linux system is the most compact laser scanner on the market and weighs just over 10 kg.